I want to discharge a capacitor with an Arduino digital pin. 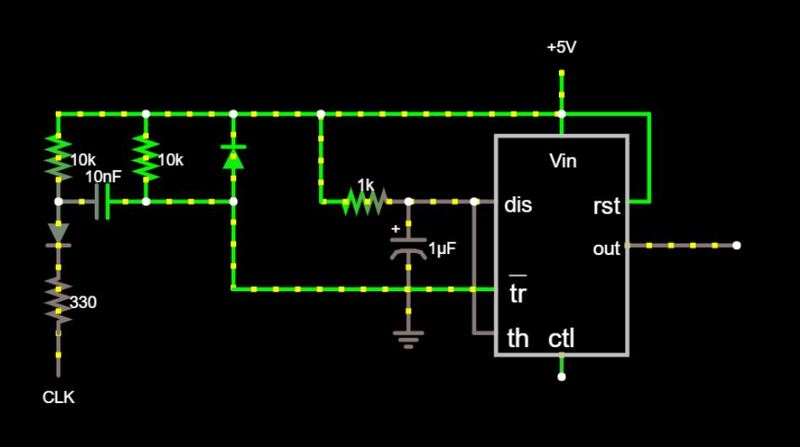 Which of these two circuits is safer for the board? I have made a capacitance meter with a 555 timer and an Arduino. It's mostly complete except for the digital pin that triggers the 555. I have narrowed it down to two possible solutions. Both of them use a differentiator to make sure the trigger pin on the 555 returns positive, even if the Arduino is interrupted with a timer. One solution uses Arduino digital pin (clk) to charge and discharge one leg of the trigger cap (10nf). The other uses the 5v rail to charge, and the Arduino pin to discharge the trigger cap. Is one safer than the other for the Arduino pin? Is there a better way to do this in general? Perhaps by using a transistor to switch the cap to ground? Are the RC values the correct size for what I'm doing? As the Atmega328 datahseet states the current on the IO pins should not exced 40mA. "Stresses beyond those ... “Absolute Maximum Ratings” may cause permanent damage to the device." But for short periods of time(microseconds) and low energies you may exced those limits. 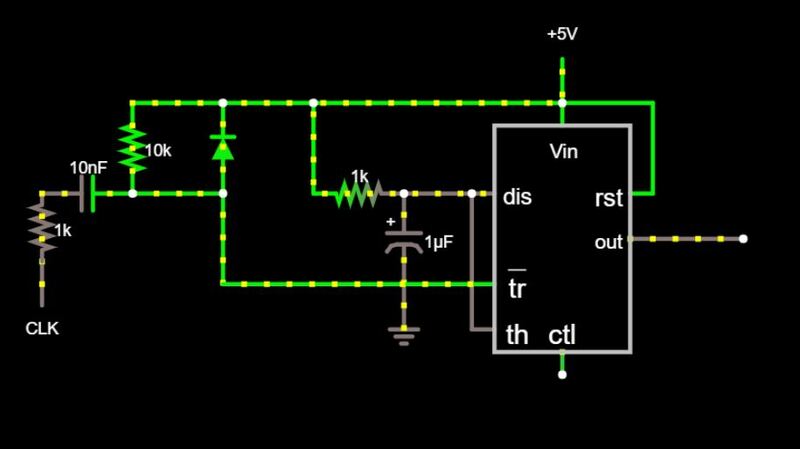 You can use the first circuit as long as you have at least a 125Ω resistor in series (to ensure a current of 40mA if working with 5V). Also you should consider that the IO pins are not simple switches. They have an internal resistance, capacitance and induncatce (that vary with temperature). Also the pins have clamping diodes connected to the MCU ground and VCC. If your aim is to measure capacitance I think that it's possible to avoid the 555 and measure the time it takes to charge/discharge the cap using timers and ADC. Atmel do this to implement the QTouchADC (http://ww1.microchip.com/downloads/en/AppNotes/doc8497.pdf). It's a capacitive touch sensor aproach. You can find code for this in github as reference to control all the peripherials. Not the answer you're looking for? Browse other questions tagged arduino or ask your own question. Why Arduino does not suit the to trigger a Spark plug but 555 timer can?